Responding to Emily Carr's life and work EMDialog invites museum visitors to explore the extensive discourse about Emily Carr in an interactive way. The installation consists of a large interactive display showing two interlinked visualizations that present commentary and imagery about Emily Carr's life and work along temporal and contextual dimensions. 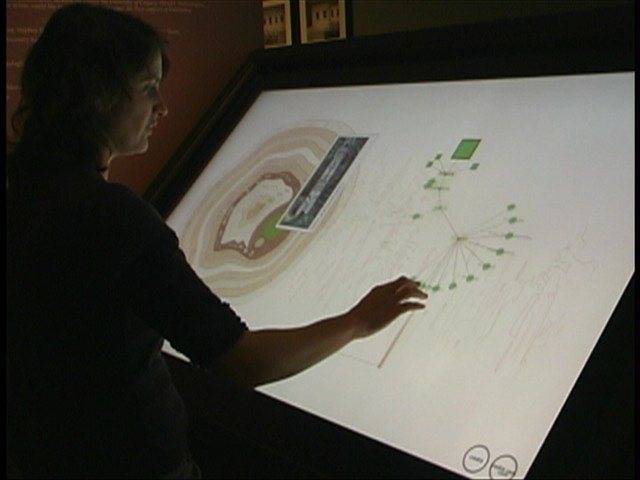 Visitors can explore these visualizations through direct touch interaction. The content of the display is cloned and projected on a wall making the visualizations and the interaction with the display visible to a larger audience. Speakers embedded in the display provide ambient forest sounds of birds, water, and wind to convey Emily Carr's experience of painting in-situ. 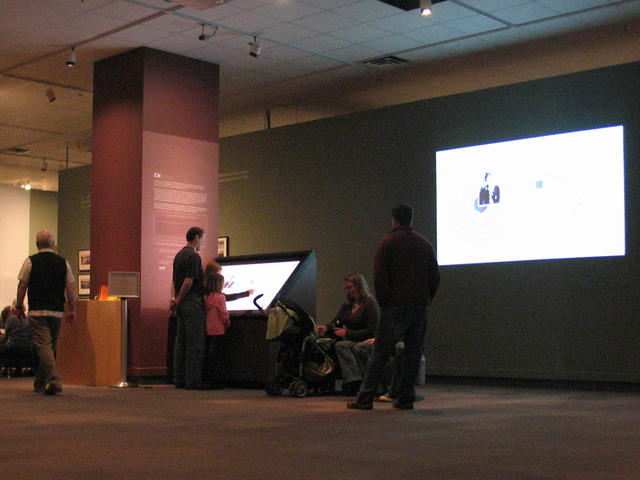 The project was funded and supported by the University of Calgary, the Glenbow Museum, and SMART Technologies Inc. who designed and provided the interactive tabletop display that was used for the installation.